The Marlins are the team with the most to offer for the playoffs, despite being far from any shot of their own playoffs. 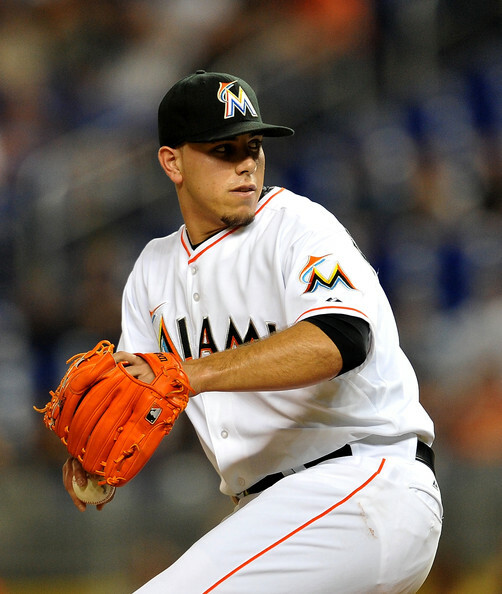 Jose Fernandez is set to return this weekend against the Washington Nationals. His teammate, Giancarlo Stanton, will probably not be returning this season. He was pretty uncertain when asked a few days ago. Getting the good news out of the way first with other players, A.J. Burnett is expected to return soon, after throwing a 75 pitch bullpen session. He will need a rehab start, but should be safe to deploy in the final two weeks of the season. Marcus Stroman is not going to have any value this season, unless you are chasing innings like a mad man. The Toronto righty has been rumored to start on Saturday. The Cardinals are a busy bunch on the DL, with Matt Adams, Adam Wainwright, and Matt Holliday all on the DL. Kolten Wong also was scratched from today's lineup. Adams is due back within the next two weeks, so not much use for us in fantasy land, which is really the case with all these guys. Wong has a calf issue, but is considered day-to-day. Yasiel Puig is still dealing with the hamstring strain, which has knocked him out for a lot of 2015. He is a safe drop for the month of September, due to this being such a tricky injury. His timetable is uncertain, so go grab another outfielder. Staying in the NL West, Hunter Pence was taking dry swings, showing very little promise for a return in 2015. You can write him off with Puig. Corey Kluber will miss two starts minimum, according to the Indians. He has the hamstring issue, so you can hope to get a start or two towards the end of September if we are lucky. His teammate, Carlos Carrasco is ready to return this week. Steven Matz is questionable for his next start with the blister issue, which he left the game with against the Braves. He should be considered probably in my words however. Stephen Strasburg will be back this week, and felt fine after a bullpen session, he will not need a rehab start. A few outfielders are in the works to come back, one being Billy Hamilton who went on a rehab assignment. Corey Dickerson is also on a similar pace, he is 100% from the broken rib, and is out on a rehab assignment. There are some big names listed as day-to-day, but it doesn't seem that many are in jeopardy of missing more than a game or two.